New concept of helmet with the new brand BARRACUDAMOTO . 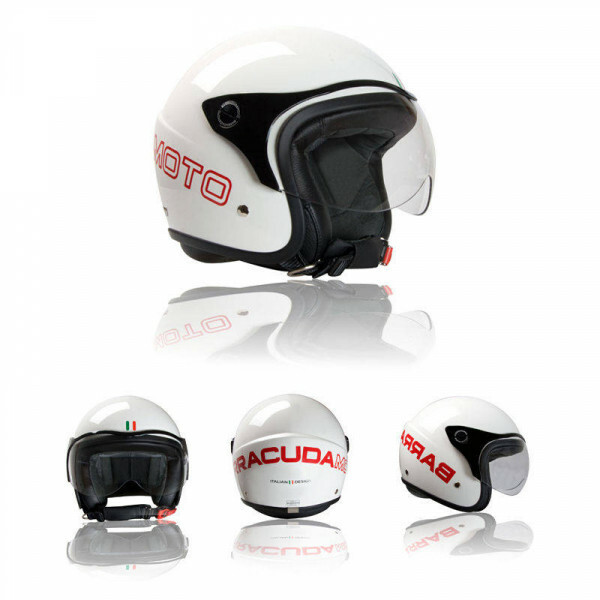 The helmet BARRACUDAMOTO model FIBRA. It has a strong , personal ed exclusive design. It offers an high livel of particulars , like the inside ANTI-sweat with memory .It is in FIBERGLASS, excellent wearing. Is possible to add the SMOKE visor Available in WHITE helmet with red inscription or in BLACK helmet with silver inscription. The helmet is e-marked.